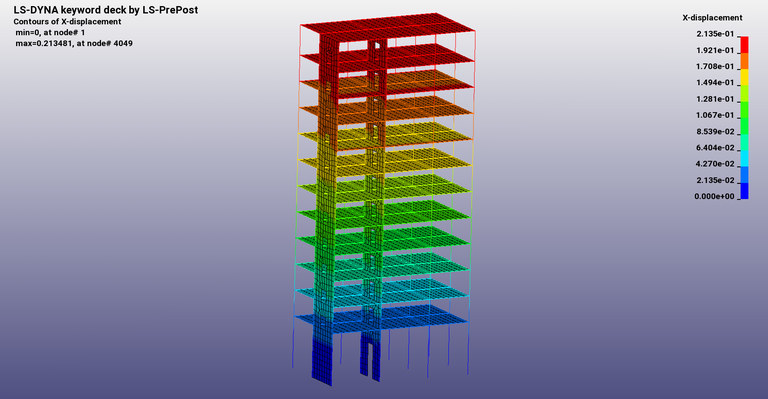 This example shows how to run resonse spectrum analysis with *FREQUENCY_DOMAIN_RESPONSE_SPECTRUM for a simplified multi-story building model with shells and beams. *DEFINE_CURVE and *DEFINE_TABLE are used to define ground acceleration spectra for different damping coefficients. Post-processing is done with *DATABASE_FREQUENCY_BINARY_D3SPCM and *DATABASE_NODAL_FORCE_GROUP. 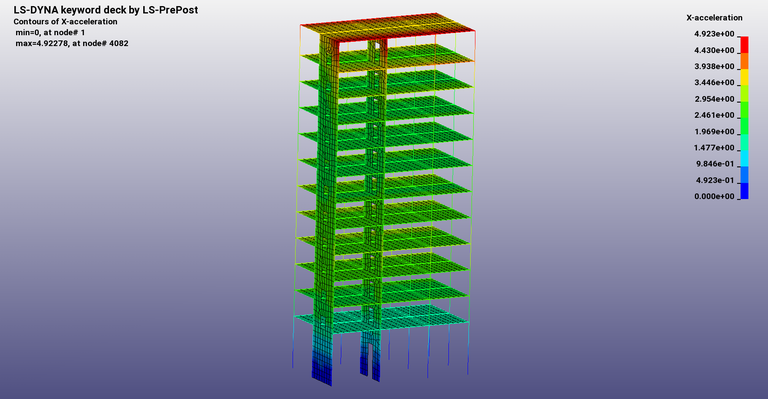 Example 10.2 from LS-Dyna training class NVH, Fatigue and Frequency Domain Analysis with LS-DYNA by Yun Huang.